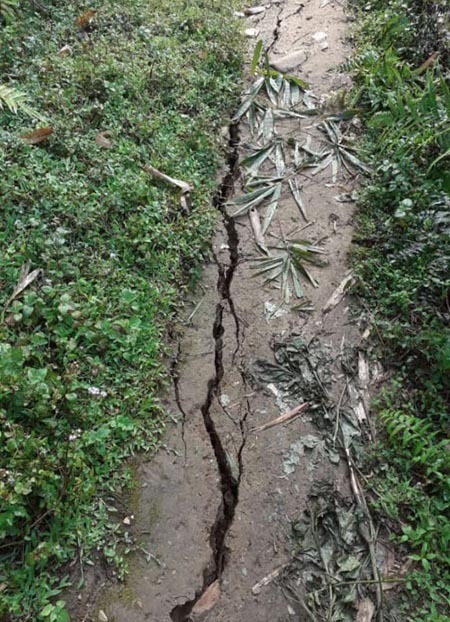 MIAO, Apr 13: Two hundred youths from Miao and nearby areas in Changlang district on Saturday walked 17 kilometres to pray for better governance in the country. Youth leader Junem Langching, who organized the event, said the walk served two purposes. “We made this pilgrimage as part of our Lenten penance to prepare well for the holy week, as well as to pray for our country in this season of elections,” she said. The ‘pilgrimage’ began from the Sacred Heart church in Neotan, and culminated at the cathedral church. Miao bishop George Pallipparambil commended the youths for taking up the novel way of praying for the country and for preparing for the holy week that begins on 14 April. During the four-hour walk, the youths recited rosaries and Divine Mercy chaplets, interjected with hymns and short prayers for a better government. 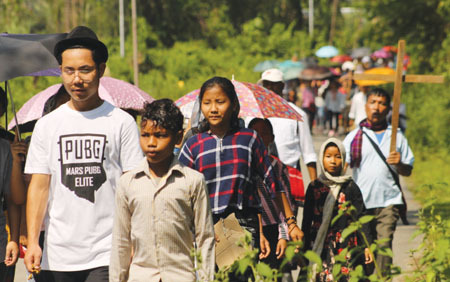 About 100 men, women and children from nearby villages also joined the walk.